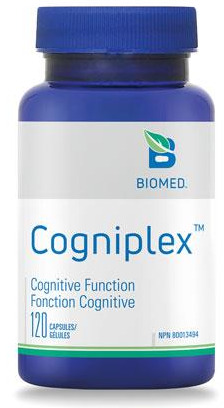 Cogniplex with its combination of nootropic herbs (memory and cognitive enhancer) is an effective and natural alternative for those suffering with memory impairment and dementia or for those seeking to assist their learning and memory capability. Take two capsules two times a day with food or as directed by a health care practitioner. For more severe cases of dementia (like Alzheimer’s) the dose should be increased to four capsules two times a day with food.